Yes, I got my Schengen Visa within 72 hours! The main reason why I decided to publish another post regarding applying for a Schengen visa was due to the ease and convenience I experienced during my application earlier this year. Also, given that it is the Embassy of France that receives the most number of Schengen tourist visa applications in Manila, I thought this ought to help out those who are about to lodge their applications. Note that even if your application isn’t with the French Embassy, this can still serve as a guide for any Schengen tourist visa application. First off, what is a Schengen Visa? A Schengen visa is the document by which allows you to freely travel to the following countries: Austria, Belgium, Czech Republic, Denmark, Estonia, Finland, France, Germany, Greece, Hungary, Iceland, Italy, Latvia, Liechtenstein, Lithuania, Luxembourg, Malta, Monaco, Netherlands, Norway, Poland, Portugal, San Marino, Slovakia, Slovenia, Spain, Sweden, Switzerland, and the Vatican. The Schengen agreement was formed by the aforementioned countries, and allows great convenience should you wish to travel from one Schengen country to another without having to worry about passing through immigration time and time again. In addition to this, should you be granted a double or multiple-entry Schengen visa, you can also visit neighboring countries that are not part of the Schengen agreement / area. Provided that you haven’t gone beyond the limit of your approved days in the Schengen area, you can choose to exit and visit some of the neighboring countries within Europe. Note, however, that once you exit the Schengen area and proceed to such a country, the days you spend there are not counted in addition to the days you’ve spent or you’ll spend in the Schengen area, so you can freely travel within the stipulated days each country imposes on Schengen visa-holder visitors, which can usually go up to 90 days! There are a few more countries you can visit with a double or multiple-entry Schengen visa, but I have yet to have firsthand experience, so I won’t be including it in the list above. And now, let’s focus on the application itself. This is the first important step in any Schengen visa application, deciding where to lodge your application. I can’t stress this enough: apply to the Embassy of the country you’re staying in the longest – regardless of where you’ll be entering or exiting the Schengen area. If you make the mistake of overlooking this detail, be prepared to get rejected upon trying to lodge your application. I’ve seen this too many times, with even one applicant offering to lengthen her stay in the country she was lodging her application with, but she was still denied upfront and asked to go to the Embassy of the country she was originally staying longest in. This has no bearing on whether or not you’ll be approved a visa in the Embassy you’re supposed to lodge your application with, but you don’t want to make the mistake as it takes time, effort and money. 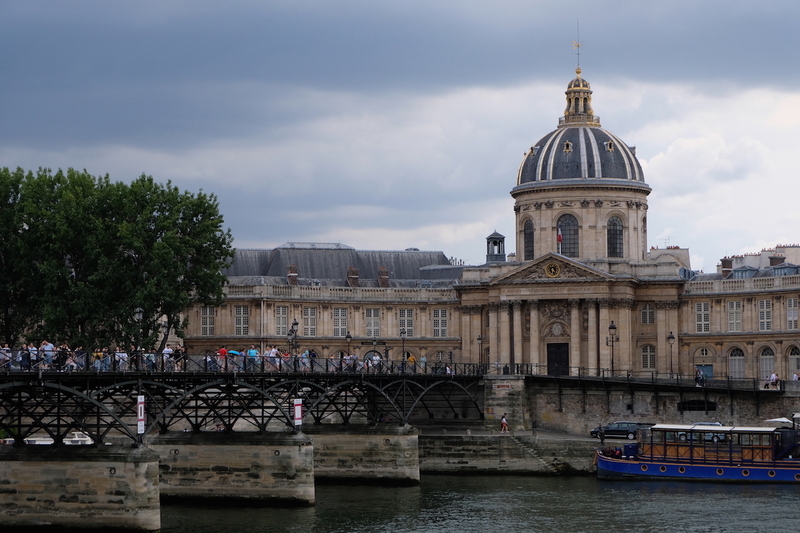 Don’t worry though, after going through this lengthy process, the rewards are great: such as seeing the gorgeous Pont Des Arts in the 1st arrondissement of Paris, pictured below. Once you’ve identified that France is where you’ll be staying the longest during your trip to Europe, now it’s time to begin your application with the Embassy of France in Manila via the VFS Center. First, click this link to register your email and create an account to jumpstart your application. This is where you’ll be filling-up your Schengen Visa Application form, which should be printed and passed on your appointment date. Upon completing all the necessary details on the application form, you can now proceed with booking your appointment. A tip: book the earliest one possible – I booked mine at around 7 in the morning and didn’t have to wait too long. Remember that after this, an appointment letter will be available for printing, which you have to bring during your scheduled appointment, together with your filled-up and printed Schengen Visa Application form. And onto the most crucial part of your application: gathering all your documents as part of the visa application requirements. Note that the documents passed vary per person, but those I’ll be listing herein are those I’ve consistently passed and fortunately, have always gotten positive results thereafter. Should you have any questions about the list above, you may refer to my other post: Schengen Visa Application for Philippine Passport Holders: Embassy of Belgium Manila for the more-detailed list or comment down below, so I can provide more information. 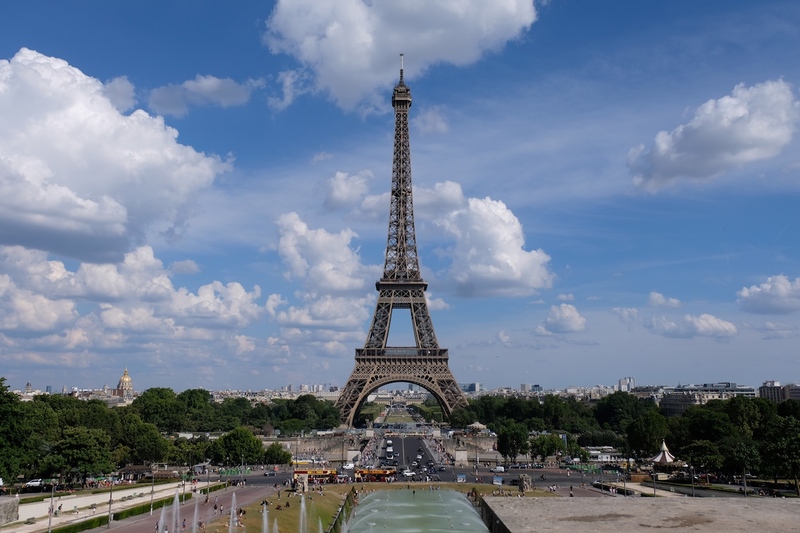 I know, the list above is quite lengthy and preparing all this, just in the hopes of getting a visa approved, can be a pain; but believe me, it will all be worth it when you finally see the Eiffel Tower with your very own eyes. On the appointment date itself, you have to make an appearance at the VFS Center with the location and contact details as follows on your scheduled time slot. Upon completion of the visa application process, the final step is to wait for the results. Again, it can take a few days or weeks, or even a few months. Luckily, with my most recent application, it took only 72 hours! I passed my documents on a Monday, received the email stating my passport was ready to be picked-up on Tuesday, and picked up my passport with the approved visa on Wednesday of that very same week! And better, they gave me a visa valid for 6 months, even if I only applied for a three-week visa; this was the longest visa validity I’ve gotten to date! The key in obtaining my visa quickly was, I believe, the fact that I passed everything required of me, so I suggest you do the same. If you wish to have your passport delivered, which is a service I’ve availed of previously, the VFS Center will contact you once it has been dispatched to the courier and you’ll be advised of the time frame as to when it will be delivered to your preferred address. Be prepared to present an ID card and the visa receipt if you’ll be receiving it, and in addition: an authorization letter, should someone else be receiving it on your behalf. Important note: notifications that your passport is ready for pick-up or that it has been dispatched WILL NOT include your results. You’ll only know your results once you have your passport at hand, so don’t worry if they didn’t notify you with regards to your results via email / text. That’s normal! Plan ahead. There seems to be an influx of applications these days, so expect that the earliest appointment date you’ll get is a month away, so I suggest you book your time slot as soon as your travel dates are certain. 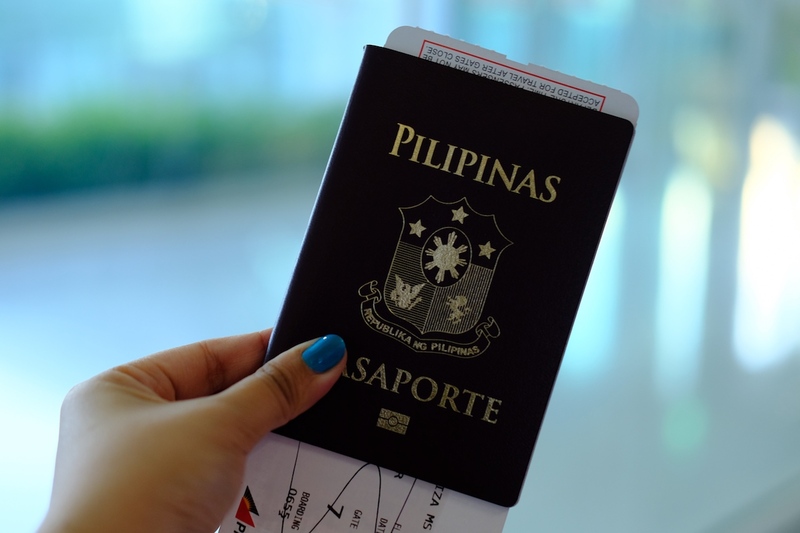 For your visa application requirements, gather as much documents as you can that’ll prove you plan to come back to the Philippines after your trip, and that you have ties here and no plans whatsoever to stay in the Schengen area illegally. During your appointment date, be in the venue ahead of time – at least 15 minutes or 30, if you want to be certain; there’s a cafe in the building you can lounge around in anyway. Note that if you’re bringing a car, try to even go earlier, as parking can get quite full mid-day. Know your itinerary by heart, so the officer who will be receiving your documents won’t have any reason to doubt whether or not your application is truthful. Don’t fret! If you’re being honest about your application, there’s no need to worry as there is nothing to hide! Just have everything in order, and I’m sure you’ll get your visa in no time. And soon enough, you’ll be basking in the European sun (or cold – depending on when you plan to go), enjoying the grandeur of it all. 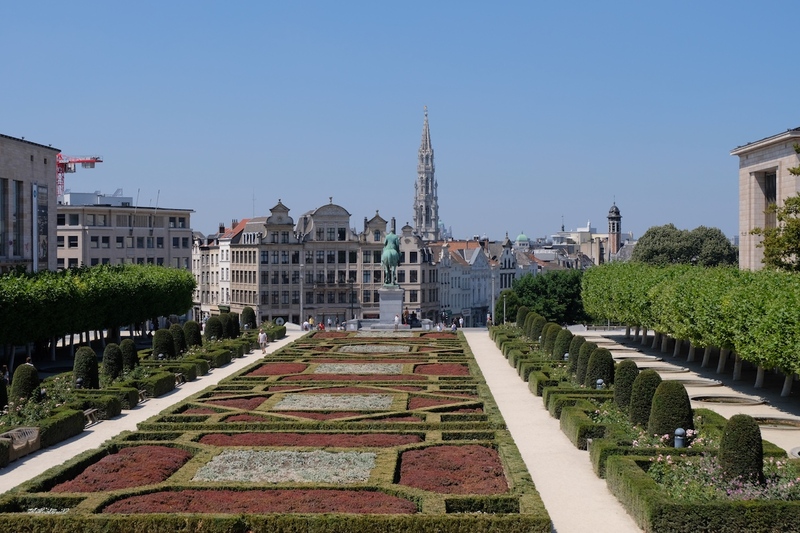 As I end this post, here’s a photo of my favorite spot in Brussels, Belgium – a short 1.5hr train ride from Paris – to inspire you!